Spelunky is an incredibly hard and borderline unfair sidescrolling platformer. The game requires you to explore increasingly dangerous underground tunnels in search of luxurious loot and damsels (or dogs) in distress. Although not a true roguelike, the game does include many key features of the genre; procedurally generated levels, a high base difficulty, and, most importantly, permadeath. What does separate Spelunky from roguelikes however, is that it lacks some important RPG elements, such as hitpoints, in favour of a more simplified approach. An incredibly addictive game, Spelunky really evokes that “just one more go” mentality. Nevertheless, the game’s addictive nature is often left battling the urge to throw down the controller and swear never to touch the game again. Spelunky is often rage inducing, and a particularly affluent run can be cruelly and abruptly concluded by that one spike which hidden just out of sight. 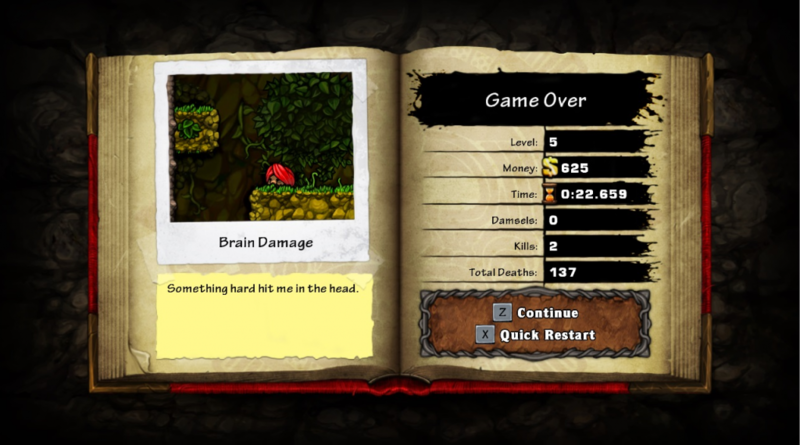 These instadeaths may lead to the conclusion that the game has a lack of respect for the player’s time, whilst verifying IGN’s description of Spelunky as the game that is “as easy to love as it is to hate”. You will love the game when things are going your way and you’ve managed to collect enough loot to buy some cool gun from the shop. However, this adrenaline fuelled run is cut short a mere second later when you accidently shoot the unforgiving, super angry shopkeeper who then proceeds to murder you with his own shotgun. Spelunky is also a relatively expensive game compared to others in this genre, but at £11.99, if you have the right attitude, you will get a lot of game time out of it. There is also a daily challenge which helps to keep the game fresh. If you still think that’s too expensive, you can play the original version of it for free, before all of the graphical remastery. Made by Gaslamp Games with the intention of making true roguelikes more accessible, Dungeons of Dredmor is genuinely funny, jam packed with hilarious descriptions and references to older games. The dungeons are procedurally generated in this top down, dungeon crawler with masses of loot to be found. Being a roguelike, of course it has permadeath too, but in this case it can be disabled. Why would you want to do that though? The game has a retro art style, which, in addition to the brilliant sound track and comedic sound assets, creates a fantastic immersive experience. The humour is all in brilliant taste, and the references incite heaps of nostalgia, which you’ll no doubt be thankful to be reminded of. The game, however, is a bit more difficult than other games on this list, and will require you to play through the tutorial to understand what’s going on. After you’ve persevered with learning the basics, you’re in for hundreds of hours fun. It’s an incredibly hard game and it will take you a lot of play time in order to progress. With a price tag of £3.49, you’ll certainly be getting a lot of value for money. If for some reason the base game isn’t enough to keep you going, there is plenty of DLC available. This can be acquired inexpensively in the form of a bundle, which also includes the base game. Add to this an amazing set of achievements and a Steam workshop full of user created entertainment, and you’ll never get bored of this game. Rogue Legacy is another modern roguelite in which you are in control of an adventurer spelunking his/her way through a castle. The objective is to take control of the castle, fighting many mobs and bosses and collecting loot on the way. You begin Rogue Legacy very weak, and it will take a bit of time to get into the game. Nevertheless, the game soon gets interesting once you have collected enough coins and opened enough chests; allowing you to make your hero stronger. This can be achieved through buying skill-ups, or by finding or purchasing special armour and magical runes. The powers of these items range from vampirism to gold boosts, and some even grant the power of flight. The amount of game play Rogue Legacy offers without becoming tedious is amazing, and there has recently been a free update adding an incredible amount of variety. You will grind your way through the castles for hours to get this loot. But what if you become too strong for the castle? Well just keep exploring; there are multiple areas with varying difficulty. Enter The Maya or The Darkness for more loot and harder mobs. What if you die? 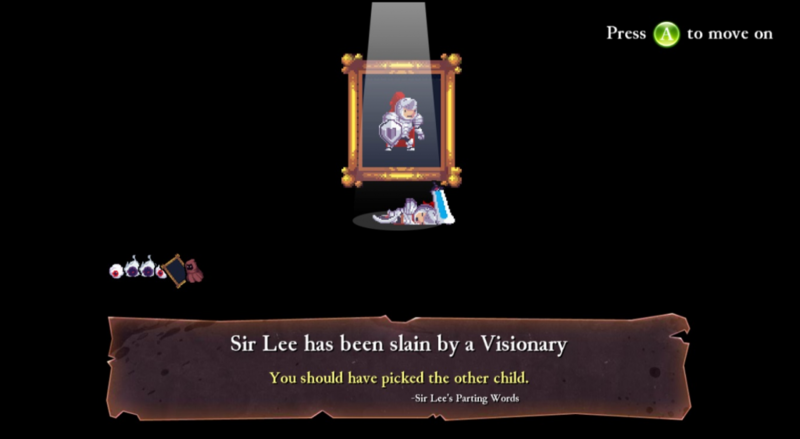 Then pick your new heir! This where the fun begins, and this is what helps make Rogue Legacy unique. Different heirs have distinctive traits, some which effect game play, some which just make you laugh. Rogue Legacy is relatively expensive, being priced at £11.99, but there is enough content and play time to make it worthwhile. 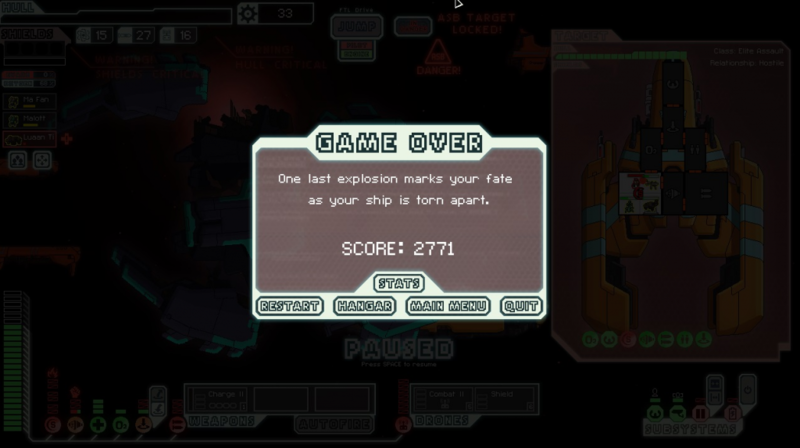 FTL is intense, Sci-Fi roguelite that delivers a high-octane mix of strategy and adventure. You jump at light speed from node to node trying to outrun the pursuing rebels that are causing havoc in all sectors of the universe. But like all good road trips, this game is more about the journey as opposed to the destination. Throughout your travels you will encounter many different ships, aliens and atmospheres. Aliens will join your crew and help defeat the rebel mothership, after jumping through eight different sectors of space, upgrading your ship and weaponry. The game allows you to kill ships in return for scrap which can be spent on lasers, drones and ship upgrades. In FTL there are many different ways to approach the combat by using the different skills of your crew or the quirks of your ship. It really enhances the experience of the game when you give your ship a personality. Is it a menacing mantis cruiser that boards enemy ships or is it a stealthy ship that cloaks and dashes? It’s up to you: you are the captain. Recently the game has had a free update and if you buy the game now you will be playing FTL Advanced edition, which adds a ton of new content. New interactions, new ships, new weapons. This adds a lot to the universe and it makes the combat much more indepth. Priced at £6.99, you’re getting a lot of value for money as this game will easily give you hundreds of hours of fun. If it does ever get boring, there is an extensive modding community for you to check out. 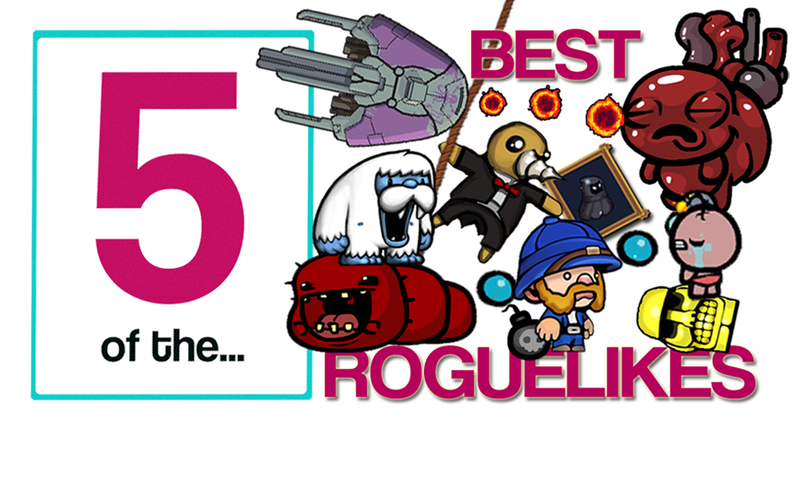 The Binding of Isaac is probably the best Roguelite game around today. It offers the most replayability per penny and it couldn’t be more fun or more addictive. You play as Isaac, a frightened boy who has fled to the basement to escape your mad mother who wants to sacrifice you to God. The basement is randomly generated with random mobs and random rooms. 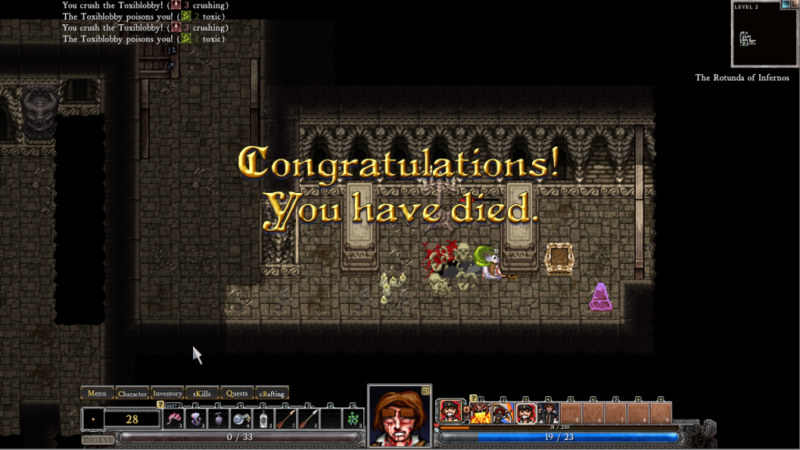 You enter a room, kill all the mobs with your tears (what else? ), get some loot and keep going until you reach heaven or hell! The best bit about this game is how varied each run is. 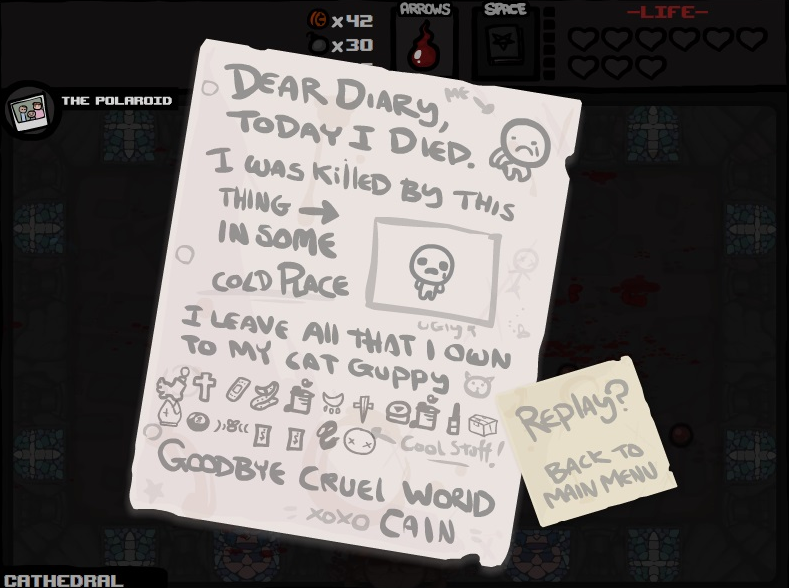 Isaac gets different items, trinkets, cards and pills with each run, this hugely shapes how your run will play out. Some runs are very powerful and some, well, aren’t. The most interesting part for me is how the items augment Isaac, and how his character changes throughout one run. Not only does Isaac become more powerful, his physical appearance changes with every new item; creating strange looking characters. The artwork is wonderful, and its quirkiness is what really gives the game its soul. One of the main drives of The Binding of Isaac is the achievement system. Achievements give you items but they are also fun to try and get regardless of the reward. You will play different types of run in order to get each achievement, and that really makes you not want to stop playing. What’s more? There’s DLC and that adds many many more items to the game. The game is unbelievably cheap at £3.99, with the DCL costing only one pound more. For that small price you’ll easily get hundreds of hours of play. However, if you haven’t played the game before, you may want to wait just bit long as there is a new version coming our very soon, and The Binding of Isaac: Rebirth is definitely one to lookout for. In the meantime though, you could play the demo for free on Newgrounds.